Dimensions - Hi, can you tell me what is the distance between the 2 rows of cabinets, and also what the width of the island is (at base where it's narrower and the worktop)? Thank you! The island (worktop surface) is 1050mm wide and 2500mm in length. the base of the island is 700mm wide. 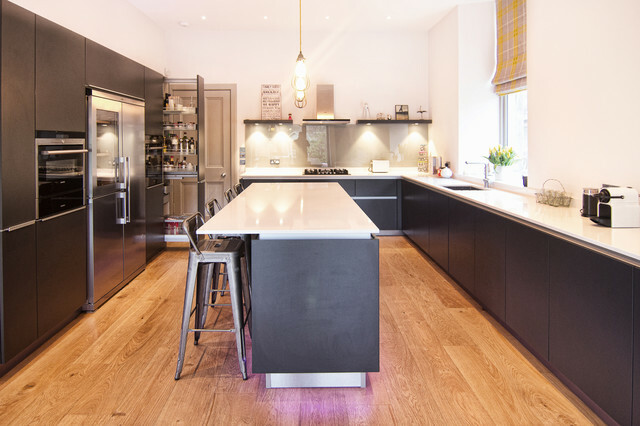 The distance from the cabinets on the left to the worktop of the island is 1300mm and 1050mm from the right.